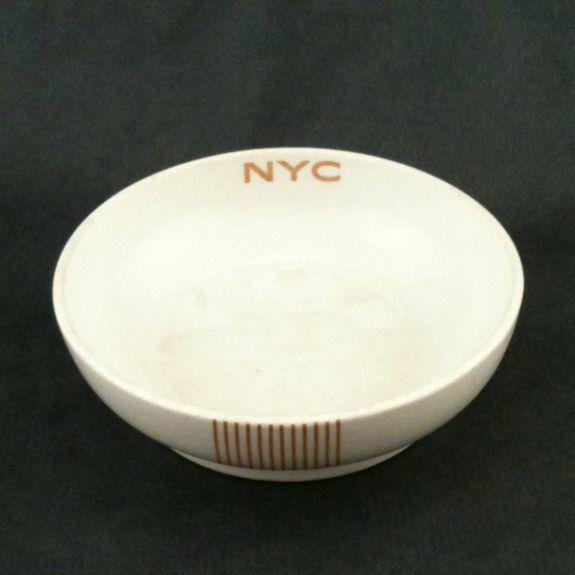 Description New York Central (NYC) Railroad 1936 Mercury Pattern Large Ramekin (also known as a Fruit Saucer #4 1/2) by Buffalo China. 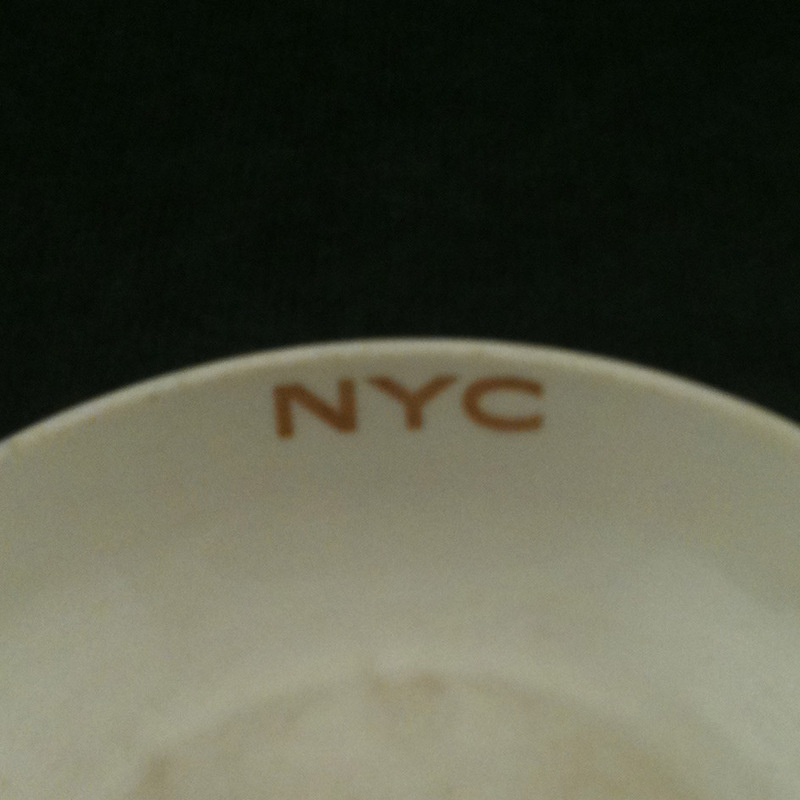 This piece has the "Ye Olde Ivory" lantern logo and full "Design Copyrighted, Made Especially for New York Central" backstamps. 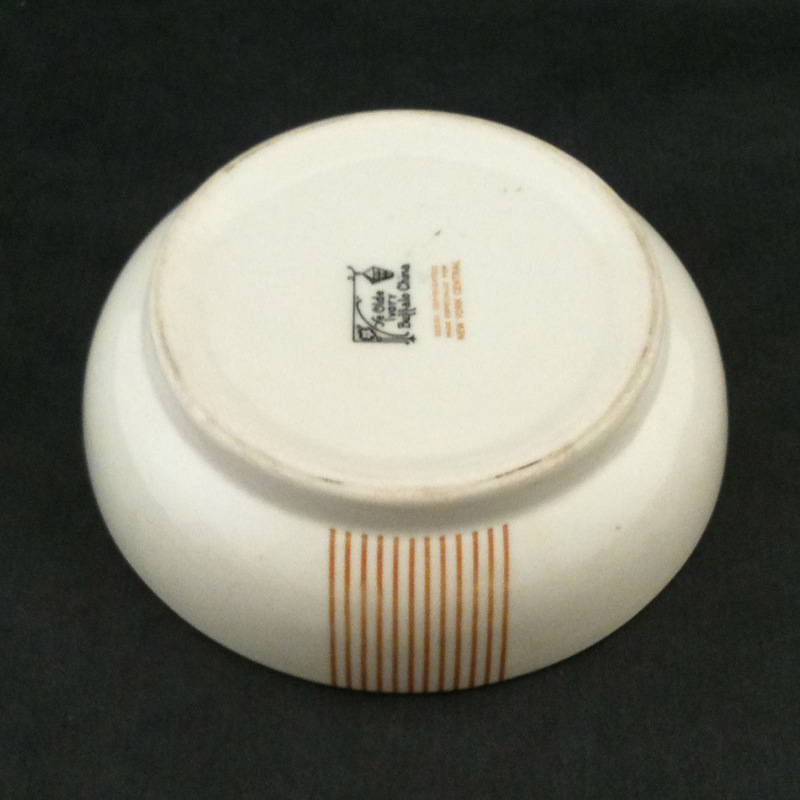 Made in 1936 using the Rolled Edge body shape for the original Mercury that ran from Detroit to Cleveland. 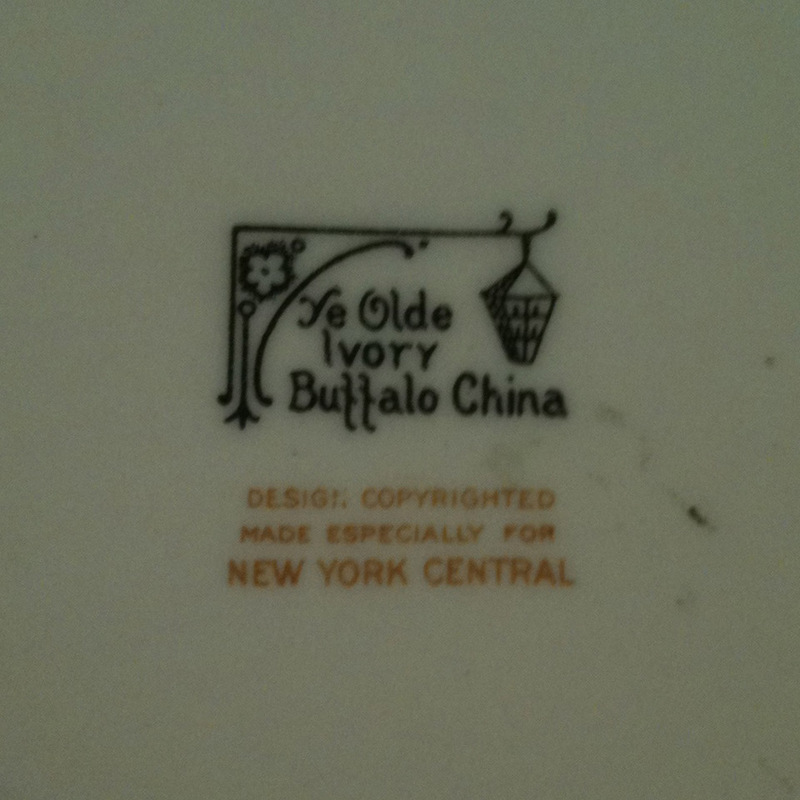 Any Mercury china made by Buffalo is much more collectible as it was only made for one dining car in 1936 before the contract went to Syracuse.